Slopes in gardens can be challenging for both gardener and plants. The rooting environment of vegetation at the top of a slope is different from that of plants at the bottom. The steeper the slope, the less time water has to infiltrate the soil and the faster water runs off so that plants at the top have to be able to cope with much drier conditions. Unless the soil is held together effectively by root systems, water is not the only thing that runs down the bank. It can take quite a while before a bank is stabilised by careful and considered planting. A quicker, and, depending on the gradient of the slope, easier way to deal with a bank is to retain the soil within walls of rocks, concrete, bricks, or timber. Rather than one massive reinforced retaining wall, terracing offers a gentler alternative. Terraces created by a series of low retaining walls allow rainwater to soak into the soil instead of running down to the bottom of the slope, and they are also more user-friendly for the gardener. 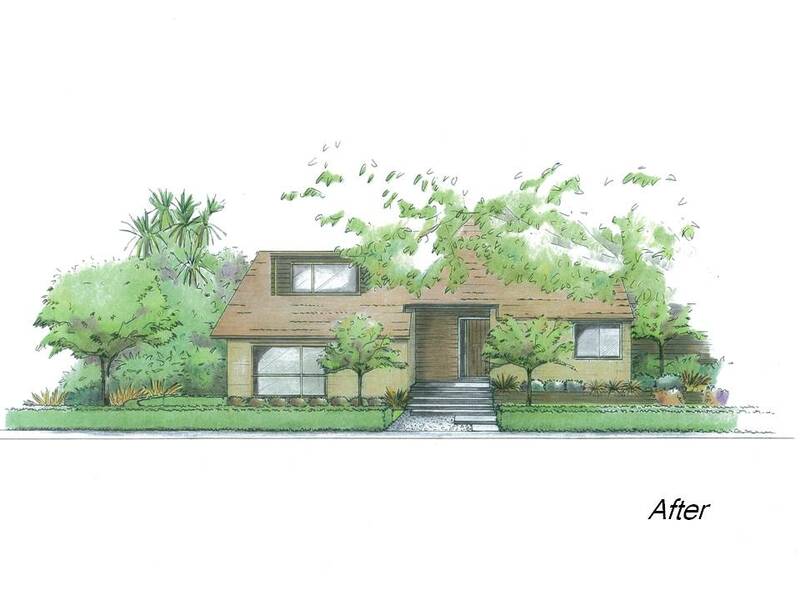 An attractive front yard makes a huge difference to the street appeal of your house. 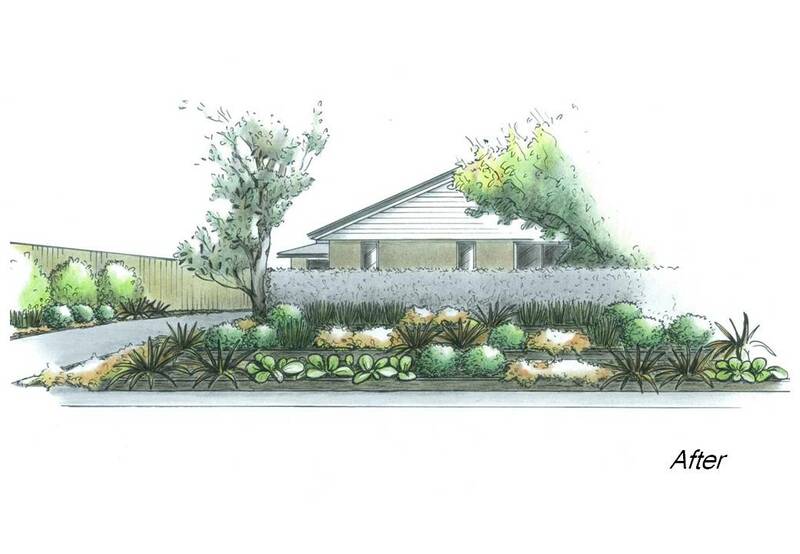 Ideally, a front garden should be well designed and properly cared for. Over time though, even the best designs require some tweaking and replanting. Without regular maintenance over an extended period of time, the garden will eventually outgrow the original design, and a complete overhaul is then the way to go.